We Are Subtract! 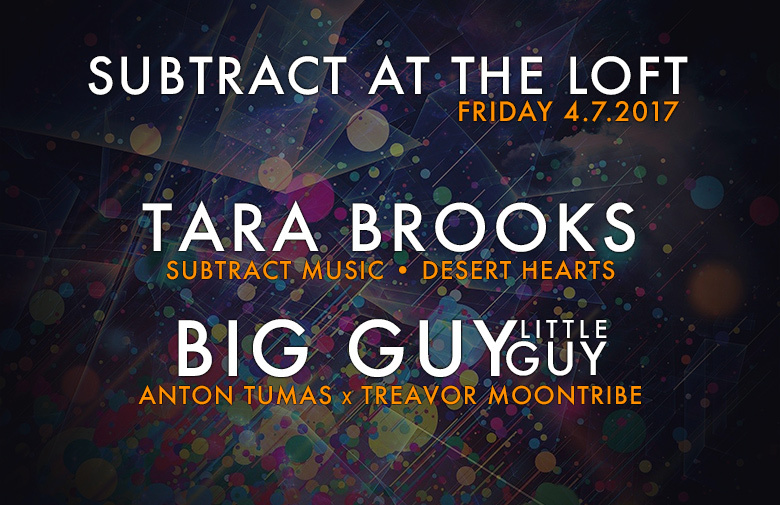 We’re back at our intimate loft, this time with a lineup that will make the dance floor groove all night! These DJs need no introduction, having rocked every desert, festival, club, and beyond! Celebrating Mr. Treavor Moontribe’s return to LA! Yes, you heard that right!!! The legend himself is moving back to La La Land, and we have so many reasons to celebrate!